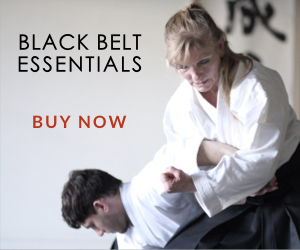 Aikido Journal is pleased to announce a new partnership with Seido, a Tokyo-based company that sells Japanese martial arts equipment. Learn more about our partnership and what to expect from it in this short article. 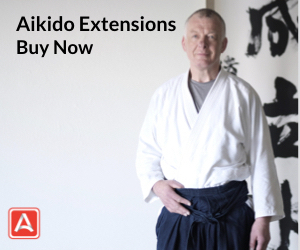 After taking on the role of Executive Editor of Aikido Journal, the first six months were primarily focused on preserving our archive, rebuilding our technology and publishing infrastructure, and putting a team together and processes in place that would allow the journal to operate from a position of strength. With a meaningful part of that endeavor complete, we took a step back and spent time thinking about our vision for the journal and identifying things that were lacking, but necessary to fulfill our vision for Aikido Journal. One thing is revenue. We need production staff, tools, and operating funds to produce new content and restore and republish content from our vast archive. Last month, we set up a Patreon account that allows the community to support our work directly. We’re off to a good start, but would love your support if you’re not already a patron. Even a $1 / month pledge is meaningful. Other important missing pieces for us are reach (all of our staff is located in California) and domain expertise in certain areas. We’ve been making good progress on the second piece by building a network of subject matter experts but reach continues to be a challenge for us at this stage. Inspired by the launch of our Patreon campaign, Jordy Delage, the founder of Seido, connected with us and we quickly forged a strategic partnership that will increase our reach, enhance our content publishing efforts, grow and strengthen our community, and provide us with a supplementary revenue stream that will directly support our work. Jordy Delage, owner of Seido Co, Ltd.
Seido is headquartered in Tokyo. 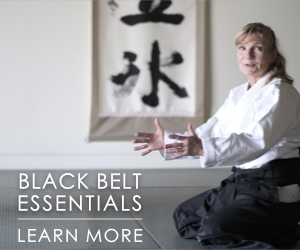 In addition to their primary function as a seller of Japanese martial arts equipment, they have an excellent media production team. I’ve seen their photography and video work and am quite impressed with their capabilities. We’ll now have far better visibility and access to coverage of events, personalities, and stories in Japan. 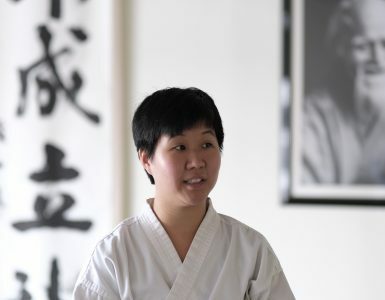 And with Seido’s help, it’s now possible for us to get photos, video, or even conduct an interview in Japan without needing to fly Aikido Journal staff across the globe. Jordy Delage with Hitohiro Saito. 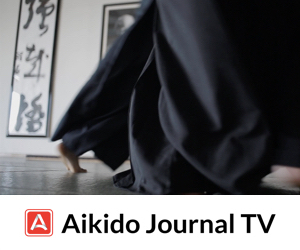 With Seido, we can now bring even more high-quality content to the Aikido Journal community. Seido already produces high-quality documentaries and interviews. We’ll carefully curate content and bring selected stories to Aikido Journal that will be most relevant and meaningful to the community. Examples of the kind of content you’ll see are our coverage of the 56th All Japan Demo and an upcoming interview with Christian Tissier that was beautifully shot in Kyoto this month at the Kyoto Butokuden. Jordy Delage of Seido (right) and Guillaume Erard (left) setting up for an interview with Tsuruzo Miyamoto, Christian Tissier, and Yoko Okamoto. Our partnership with Seido allows us to build new bridges of friendship, extend our network, and help bring our respective communities together. Aikido Journal has a very large global community, yet less than 5% are from Japan. We look forward to making new friends and contacts in Japan and building our community and audience in Asia. And as part of this partnership, Seido will also have the opportunity to share Aikido Journal stories with their community. Jordy and I are excited to collaborate to bring more people in the aikido community together, as well as bring you more great content. If you’d like to learn more about this partnership, you can read Jordy’s announcement to the Seido community here. Members of the Seido team. Thank you for taking the time to learn about this new partnership. We hope you’ll enjoy and benefit from this new endeavor. Awesome collaboration. Looking forward to what lies ahead. Wow!!! 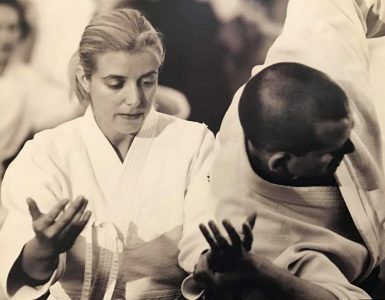 I’m very excited about this collaboration, seems that the Aikido and Budo people are finally coming together for the benefit of the art and the students. Seido is very good shop, and they produce some really great content, too. Kudos on the new partnership! I wish I could afford Seido’s equipment. My dojo clubbed together and bought our dojo cho one of their deluxe exotic wood bokken and he let me have a few swings. I have never before handled such a beautifully crafted bokken.